Our efforts for business are not just a façade, we listen, we gather information, and we ACT! Over the last three years of business visits to many local companies, one thing has become apparent; shipping in and out of the Grand Valley is an obstacle we must overcome. Many businesses watch their important raw materials travel right past them on the railroad tracks, which run from one end of the valley to the other . . . and beyond. These materials typically end up in Denver, CO or Salt Lake City, UT and then must be trucked back to our area. This current system adds time and costs our companies don’t need. A new and much needed facility is just a few short months away from being operational here in Grand Junction. Operators have targeted end of Q1 2019 as a goal to begin transload operations. The Grand Junction Chamber has facilitated many discussions between potential users and facility owners to ensure we can get those goods stopped right here in Mesa County. Not only will this save our companies thousands of dollars each year, it will allow them to keep inventory levels more consistent, it will be predictable when shipments will arrive, it is reliable, and it will grant outbound shippers the ability to utilize the facility as well. No longer will our companies be forced to truck finished goods out to port. They can be loaded on the rail right here and sent by rail to the various ports for distribution overseas. This facility will be a regional hub for transloading. 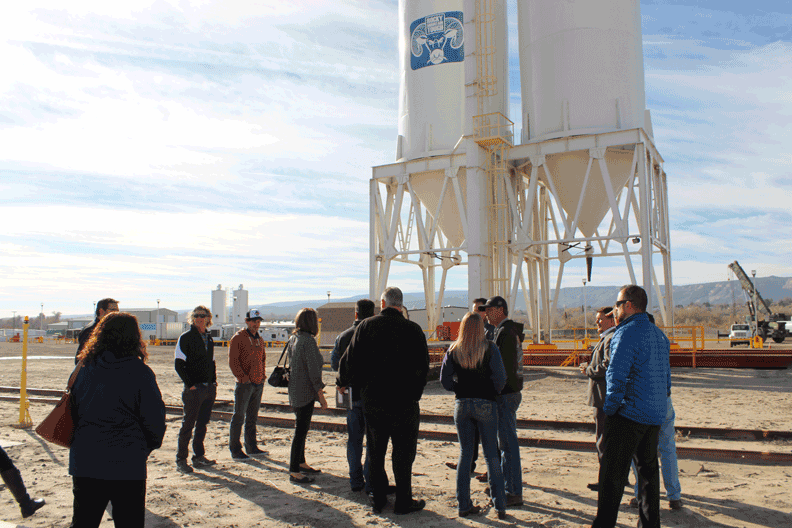 Conversations have been had with companies from Eastern Utah to Rangely and even as far as Durango. If your business could use this facility in any capacity, please let me know. I would be happy to assist you in getting connected.